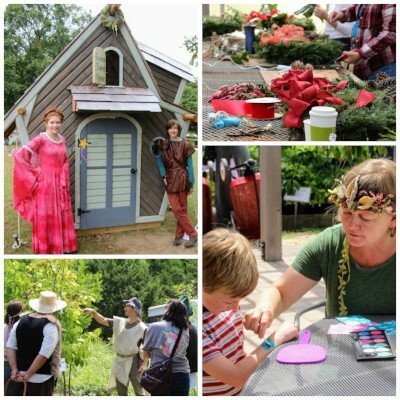 Fairyfest (Fall)—Help create a magical day for little fairies and their families—a fun-filled day of crafts, scavenger hunts, fairy houses, and tram rides through the woods. Arbor Day Run (Spring)—Check in and cheer on runners and their families at our annual Arbor Day 5K/10K Run and One-Mile Fun Run/Walk. Forest Fair (Spring)—Play a part in this day of medieval games, falconry, archery, swordplay, ballads, and dance. Native Plant Sales (Spring/Fall)—Assist in our semiannual native plant sales—help is needed with setting up, on the sale days, and two weeks beforehand to pick presale orders. Garden Tours (Spring/Fall)—Serve as a docent at one of the beautiful gardens on display during our semiannual native garden tours. Soup 'n Walks (Spring/Fall)—Assist with our nature, nurture, and nutrition events that begin with a seasonally themed guided walk and end with a delicious meal during which guests learn nutritional tips and take home recipes. Art Receptions—Set up and welcome guests to the Adkins gallery to view the latest exhibition and meet the artist. Art Installation—Assist with our art exhibition rotation—volunteers with an arts background are needed to help install and dismantle exhibits. Luminary Lights (February)—Help with this magical festival of woodland lights. 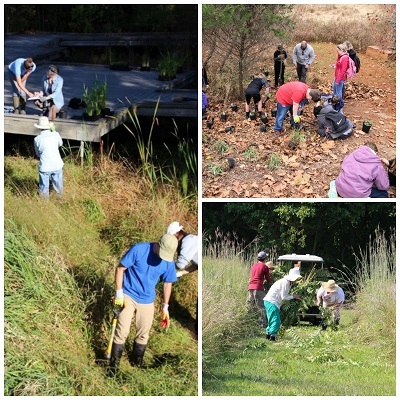 Wetland Wranglers—Join the team of volunteers who establish, monitor and maintain our dynamic wetland habitat. Funshine Garden—Help plan, plant, and maintain this creative garden space for young children. Land Stewards—Join the team of volunteers who help our native meadows and woodlands to thrive. Trailkeepers—Walk the 5 miles of trails with a pruner in hand. Volunteers are needed to keep our trails clear and safe. 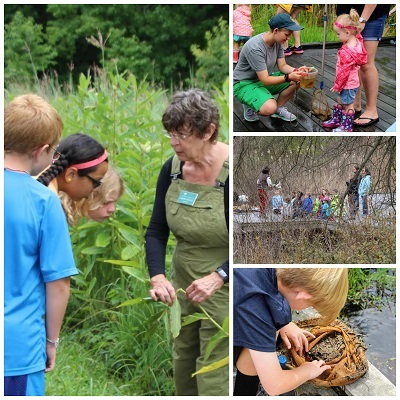 Summer Camps (June and July)—Join our summer team of volunteers who help young children develop a love for nature through exploration of the Arboretum’s woodland, meadow, stream, and wetland habitats. School Group Visits—If you are an educator (or are one at heart), assisting in our academic year school program could be for you. Join our select team of educators who help our visiting students develop an understanding of and love for the natural world. *A criminal background check is conducted for all volunteers interested in assisting with youth programs. Front Desk—Be the first friendly face our visitors encounter by serving at the front desk of our beautiful Visitor's Center. Duties include collecting admission fees, providing maps and directions, answering phones, and handling gift shop and plant sales. Help us to spread the good word about Adkins Arboretum. Serve at the Adkins booth at one or more of these annual community events—handing out free admission passes, answering questions, and, most of all, sharing your love for the Adkins mission!